The second of Monogram's 1945 trio of "Cisco Kid" westerns, In Old New Mexico stars Duncan Renaldo as Cisco and Martin Garralaga as Pancho. The plot concentrates on heroine Ellen (Gwen Kenyon), a nurse accused of murder. Gallant Cisco "kidnaps" Ellen from the authorities, then sets about to prove her innocence, all with the cooperation of a sympathetic sheriff. 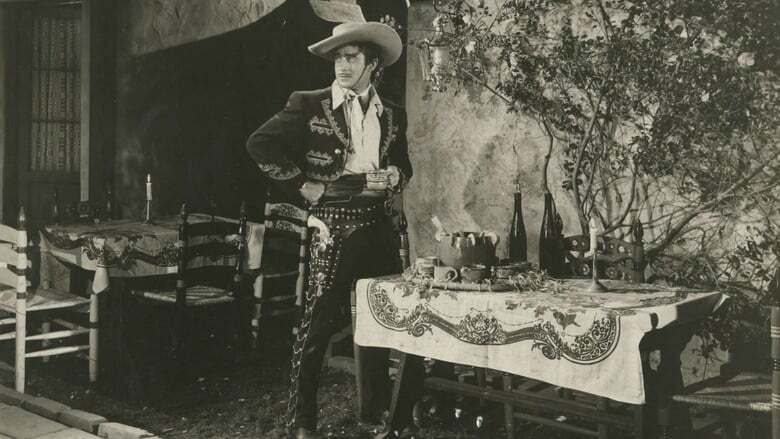 The Cisco Kid (Gilbert Roland) sets out on a double mission of rescuing a girl from forsaking her true love by marrying a supposedly wealthy suitor to save the old family hacienda, and he is also after the outlaws that robbed a stage carrying gold for the Mission. His task is made easier once he learns that the "wealthy" suitor (Tristram Coffin) is also the man behind the gold robbers. The Cisco Kid is captured while keeping a rendezvous with cantina dancer Dolores but is released by his captor, the commander of a U.S. Army regiment, to help break up a kidnap ring. On his way to Las Tables with his pal, Gordito, he makes a stop at the Martinez Rancho, where they learn that his friend Carlos has been kidnapped, from his wife Marquerita. At the Crystal Palace Saloon, Cisco runs into an old girlfriend, Sally, who he once jilted for a tight-rope walker, but she doesn't betray him when the sheriff and an army officer enter searching for Cisco. Daring Cabellero was the third of producer Phil Krasne's Cisco Kid "B" westerns. Duncan Renaldo and Leo Carrillo return as Cisco and Pancho, roles they'd carry over into a popular 1950s TV series. Once more stumbling into a dangerous situation, Cisco and Pancho risk their own necks by saving an innocent man from hanging. Eventually, our heroes learn that a corrupt political machine is behind the killing. Leading lady Kippie Valez is cast as "herself," which must have meant more in 1949 than it does today. Unlike the subsequent TV series, Daring Caballero does not end with the leading actors reciting their standard mantra "Oh, Pancho! Oh, Cisco!" Eduardo Belmonte overhears his new step-mother, Maria, and her lover, Don Ricardo Gonzales plotting to take over the Belmonte rancho on the night of the fiesta given by her husband, Don Carlos Belmonte. Eduardo offers Maria money if she will depart the hacienda premises, but she refuses and then accuses Eduardo of making love to her. The old Don doesn't take kindly to his son hitting on his step-mother and attacks him in a rage. The lights go out, the father is killed and Maria blames Eduardo, who escapes from the house, chased by Ricardo's men. The Cisco Kid and Pancho rescue Eduardo, who has been shot, and hide him while they investigate. Cisco discovers that bullets from Maria's gun, a handy little derringer, are the same type that killed Don Carlos. But the Alcalde arrests Cisco and Pancho, and Cisco is "supposedly" executed by a firing squad, but IS NOT shot and escapes by a trick. And now Maria and Ricardo are in real trouble with Cisco on the loose. In Arizona a young woman who's being manipulated by an evil businessman is helped by the Cisco Kid who happens to be there on holiday.